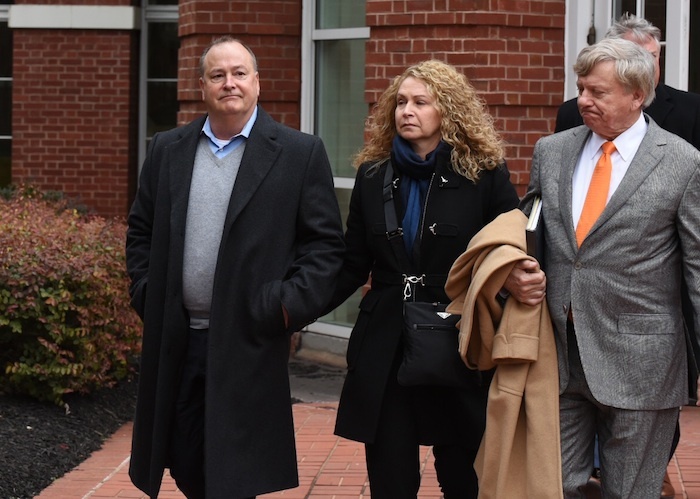 As the trial of four former Pilot Flying J employees continued in its second week, jurors heard insider stories and secret recordings indicating the company's key players, including CEO Jimmy Haslam, were fully aware of the gas fuel rebate scheme. The scheme was revealed in a highly publicized bust that began with the company’s Knoxville headquarters being raided in April of 2013. Since then Pilot Flying J’s board have admitted criminal responsibility and paid out $92 million in charges and at least $85 million in civil suits. While fourteen employees have pleaded guilty to defrauding trucking companies of promised rebates, four others are currently on trial facing additional charges that include conspiracy to commit wire and mail fraud.The defendants are former President Mark Hazelwood, vice president of sales Scott Womb old and regional account representatives Heather Jones and Karen Mann. Perhaps the most shocking testimony this week was a secret recording of the company’s former vice president John Freeman saying that CEO Jimmy Haslam "absolutely" knew about the company's rebate scheme and that he "loved it." “I mean, I called Jimmy and told him I got busted at Western Express … He knew – absolutely. I mean, (Haslam) knew all along that I was cost-plussin’ (code for the fraud scheme) this guy. He knew it all along. Loved it. We were making $450,000 a month on (Western Express),” said Freeman in the recording. Jurors also heard testimony from Janet Welch, a former sales representative who explained how the scheme only worked if trucking companies weren’t paying attention to detail or didn’t understand how to track diesel fuel prices. She also admitted that part of her job was to test the sophistication of certain trucking companies that she and her bosses intended to defraud. “The ones we thought we could get by with, the smaller ones, we didn’t think would catch it,” she revealed. The jury also saw an email she wrote to another Pilot Flying J employee with instructions to stop sending one particular company pricing information unless they asked for it. She was testing the company because her and her bosses were planning to short them on promised fuel discounts. “Will you stop sending the pricing, and we will see if they ask for it?” she wrote in the email. Another employee told the jury that she began getting worried as the scheme became increasingly bold. Records revealed that when it started in 2008 trucking firms were shorted a penny on each gallon and by early 2013 that amount had climbed to five cents per gallon. “Customer thinks it is (3 cents) but it was really (8 cents),” she wrote in an email. “That makes me nervous,” she told the jury. More shocking testimony came from former Director of Sales Arnie Ralenkotter who admitted there were times when he was ruthless about enforcing orders to defraud trucking firms and he had even threatened to pull accounts from a salesman who expressed his dismay at shorting his customers.